When electric power was switched off on June 1st 1959 Happy Harold's electric motor became redundant and was sold for scrap and Maidstone & District Motor Services, who owned the vehicle at the time, installed a Commer TS3 in its place, probably because it was the only thing that would fit. 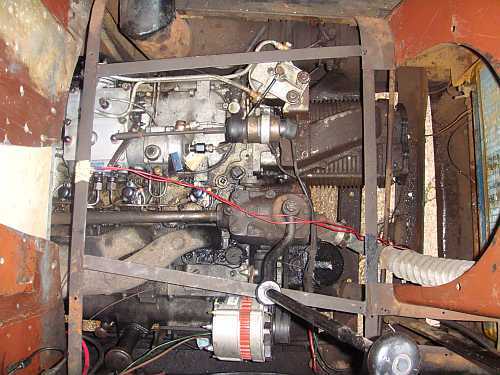 The above left picture is taken from above with the front of the bus on the right, the gear linkage centre left with the gearleaver on the right and the supercharger centre right (the dark, ribbed item ). Two of the three injectors can be seen just above the bulk of the gear lever box. to the right of the injectors is part of the newly reconditioned CAV injector pump. 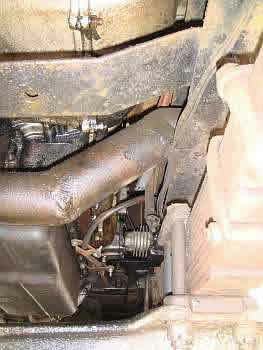 The righthand picture, taken from below, shows the front offside roadspring and chassis member. 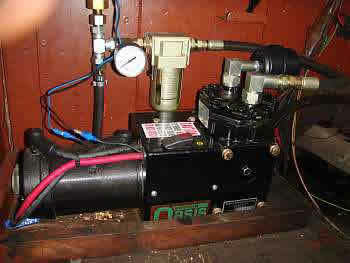 in the lower centre with the ribbed casing, is the air compressor that had caused so much trouble in the past until replaced with a freestanding 24 volt electric compressor. There were tales that the engine was new when fitted and that it came out of a coach, well the truth appears to be that it was indeed a coach engine but supplied as unused old stock - it's a 3D-199 dating from 1954/55. Quite how it was fitted is a bit of a mystery but my guess is that it was probably front off the bus and slid in that way. The illustrations from Rootes' workshop manual show the TS3 3D-199, the right hand picture showing the offending air pump which is actually a vacuum pump adapted in our case. Our air-filter arrangement is different with a single air-bath located in the cab. 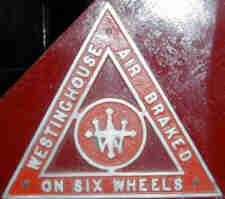 The bus' braking system is original to the bus, made by Westinghouse as the warning triangle on the back of the bus proudly proclaims but it does need positive air pressure to apply the brakes (no air = no brakes = worried driver). 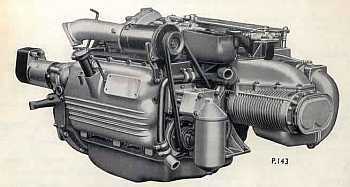 As an electric vehicle this w as supplied by an electric compressor mounted on the chassis and running at line voltage. 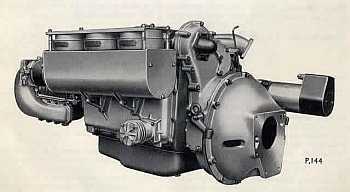 After the installation of the TS3 was previously supplied by the mechanical compressor attached to the engine but proved impossible to remove for servicing without moving the engine and it needed to be replaced because it no longer delivering enough air quickly enough so in 2006 it was replaced with a brand-new unit imported from OASIS in the USA. This fills our 45 litre air tank to 100psi in just 90 seconds.